1. Wash and cut the cucumber into thin round slices. 2. Powder the roasted gram, pepper corns and salt in a blender. 3. Mix this powder with sliced cucumber. Tasty and healthy salad is ready. Serve it immediately. 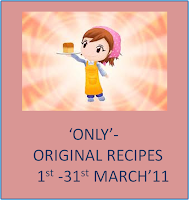 I am sending this to and Nivedita of Nivedita's Kitchen for "Only Original Recipes" event. 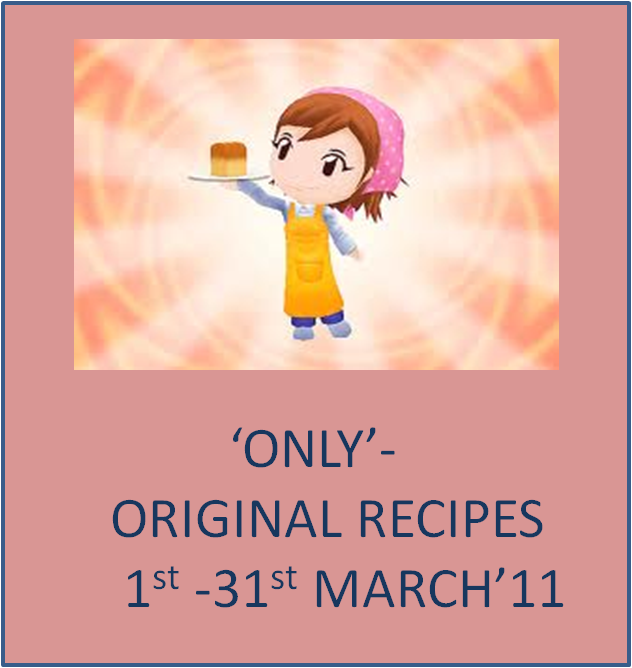 The "Only" event was originally started by Pari of Foodelicious. Adding pottukadalai for flavor is new to me. Thank you for the tip. I too prepare this salad i give a touch with chat masala, lemon, pepper and salt too. Urs gives different flavor. Yummy na. wow, this is very nice..new to me. will try sometime..
wow...so easy...loved it very much ! will surely giv it a try sometimes ! Such an easy and yummy salad! Innovative and delicious looking salad. Love the version...thanks for sharing..
what a nice little snack, healthy too! Wow definitely very new and interesting salad..
Thats very new way for me to enjoy the cucumber! Yummy salad. I use to have it.